That is the conclusion of 3M’s newly-released and highly informative 2019 State of Science Index. 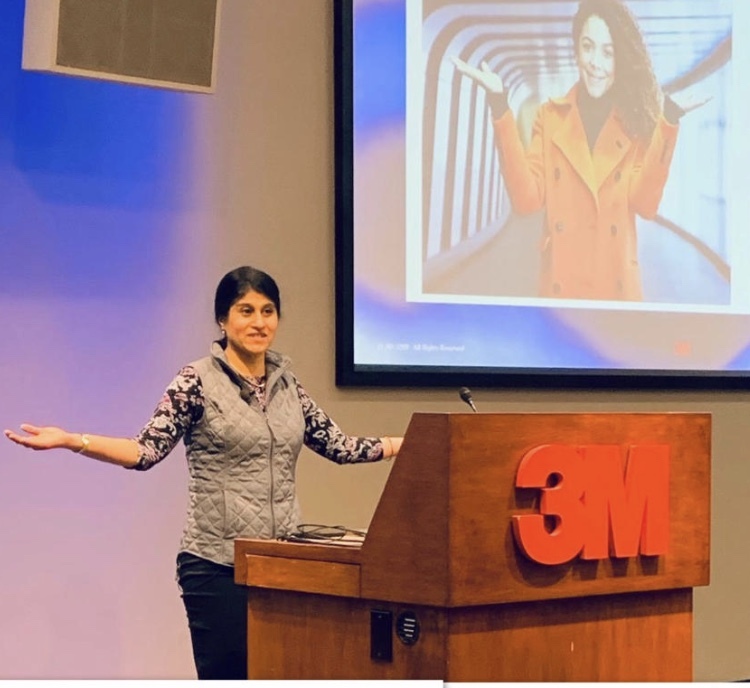 And after exploring the findings and chatting with 3M Chief Science Advocate Dr. Jayshree Seth, another conclusion becomes clear: the younger STEM generation might just be the right group to lead this charge. So, middle school students, this article is for you. Consider this a heads up: science needs more advocates…and 3M is looking at you. Ready? Okay, now we want to know more too. The second study, while similar in scope, probed deeper into why people felt the way they did about science and — here’s the best part — provided a plan to raise scientific awareness and appreciation. We’re talking action points from impactful stories and strategies to get everyone from top-level scientists down to newly inspired students involved. That’s why they’re looking at you. Cool. So what does the new study say? First of all, it contains lots of good news. The survey found that 87 percent of the global community believes we need science to solve today’s biggest problems, and a majority (62%) thinks that science’s best days are still to come. Seventy-four percent also believe scientists should get more credit for what they do, and 80 percent are more likely to believe information if it comes from a scientist than to be skeptical of it. Cue the cheering. But, it also says that the world has some trust issues. Skepticism of science grew three percentage points globally and six percentage points in the U.S. (from 27% last year to 33% this year), with nearly half the world (seriously, 45%) saying they tend only to believe in science when it matches their personal beliefs. The world also has some confidence issues. While 88 percent of people believe it’s important for everyone to have basic scientific knowledge regardless of their job, more than half (57%) are not confident in their knowledge of science and 52 percent say they are not a math or science person. That sounds like us sometimes. Keep going. The survey’s conclusions were grouped into three main areas around the image of science (while people are more curious than intimidated or indifferent about science, barriers and biases remain), the impact of science (while scientists are seen as believable, opportunities exist to make them more relatable), and expectations of science (while optimistic about how science will improve things in the future, people are still skeptical and don’t always stand up for science). Wait — you said that before. Right, because here’s where the report becomes truly game-changing: 3M formulated a plan to address the global concerns while inspiring and empowering new science advocates. And you’re saying this plan can involve students? Give us details. · More science advocates and role models. 3M gets that for scientists to be more relatable (the study notes that while scientists are seen as credible, 58% percent of people also see them as “elitist”), they need to highlight the person behind the Petrie dish. So they launched a cool video series called Beyond The Beaker to do exactly that, spotlighting the everyday lives of 3M scientists and engineers. Worried kids your age can’t relate? Check out the episode with Cait Meree where she talks about kitchen baking experiments and making her own dance costumes. · Better science storytelling. 3M heard survey respondents when 84 percent of them said scientists should make science more relatable to people’s daily lives, so they created a downloadable toolkit called Scientists as Storytellers. Intended to reduce skepticism and encourage appreciation, this guide is full of tips for scientists to make their work more easily understood. Don’t miss former NASA astronaut Scott Kelly’s story of how a teenage moment sparked a passion for space, or Young Scientist Challenge winner Gitanjali Rao’s advice not to overwhelm an audience with too many technical details. Her advice is especially impressive since she just turned 13. Want more inspiring stories? Download 3M’s Science Champions podcast and listen to Mars Generation CEO Abigail Harrison (aka @AstronautAbby) talk about the future of human space exploration. She’s in college now, but got her start as a TEDx speaker at age 13. · Increased STEM initiatives in education. Since the report acknowledged that “beyond funding, inadequate [science] education is the top barrier to future advancement,” 3M is expanding STEM in the classroom in a big way by teaming up with Donor’s Choose! The plan? Match over $50,000 in funding for STEM projects in high-need schools. This is particularly important because nearly 80 percent of survey respondents said they would encourage kids to pursue a career in science, and another 58 percent said they would pursue a career in science if they could go back in time. But they can’t. This is our time. In other words, don’t be thrown by some of the negative findings in the report. 3M sees you, curious and full of potential, and they don’t want any barrier or insecurity standing between you and a future in science. Absorb what she and 3M’s report are telling you. Use the tools they gave you. Share all of it with your friends — bonus points if you add the #CelebrateScience hashtag. And you don’t have to be a scientist yet to do it. A global, independent research firm conducted the study on behalf of 3M among 14,025 adults across 14 countries July 13 — September 10, 2018. The survey was fielded through a combination of online and offline interviews. Approximately 1,000 people aged 18+ were surveyed in each country. Countries in the study include: Brazil, Canada, China, Germany, India, Japan, Mexico, Poland, Singapore, South Africa, South Korea, Spain, United Kingdom, and United States. The sample for each country was nationally representative based on age, gender, region, and race/ethnicity (where applicable). The precision of Ipsos online polls is measured using a credibility interval. In this case, the poll has a credibility interval of ± 0.9 percentage points for all respondents. Deepest thanks to Chief Science Advocate Dr. Jayshree Seth for speaking with us.